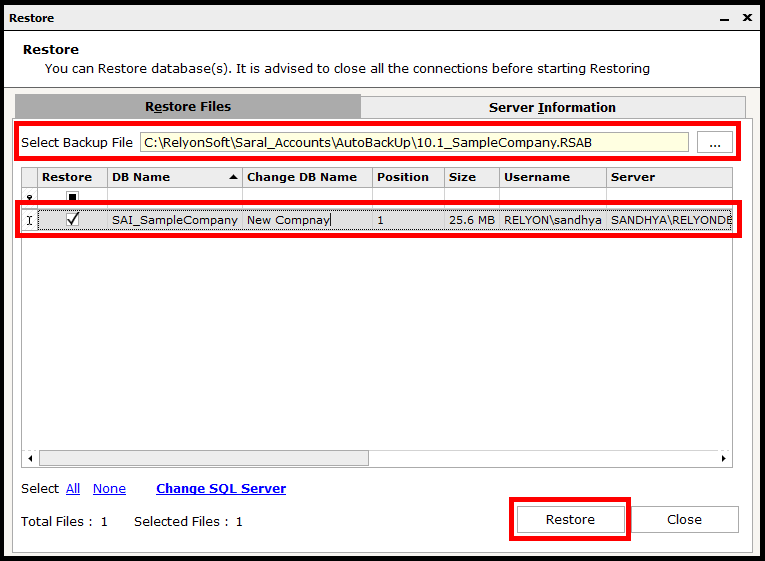 In this post, we will see how to backup and Restore in Saral Accounts and Billing software. Let us now see all the above in detailed. 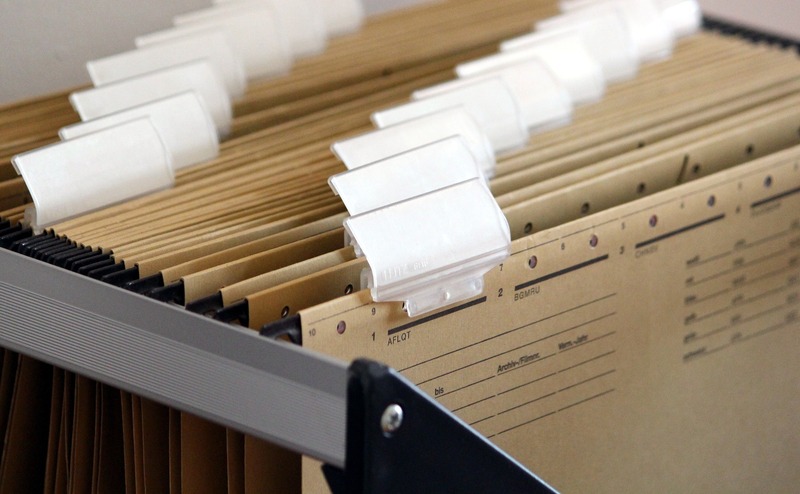 In this process, the currently opened company data can be backed-up. To back-up, the company, go to Quick Start and click on Backup Company. 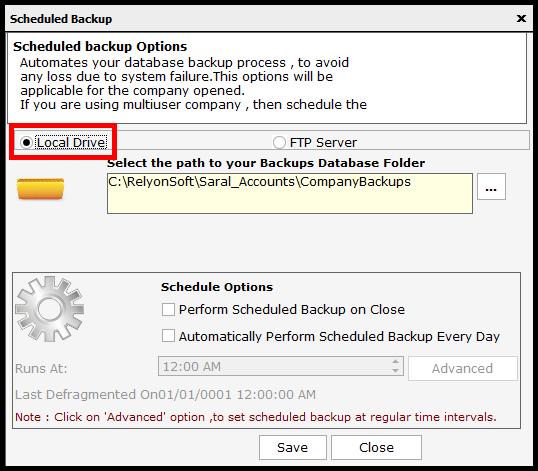 The backup will be taken and the confirmation window will be displayed. The path where the backup of the file is stored will be also be displayed. If the folder has to be opened, click on Yes, else click on No. This is a process, were multiple company backup can be taken in a click. To take the bulk back up, go to Tools and click on Backup Company. All the companies in the server will be listed. 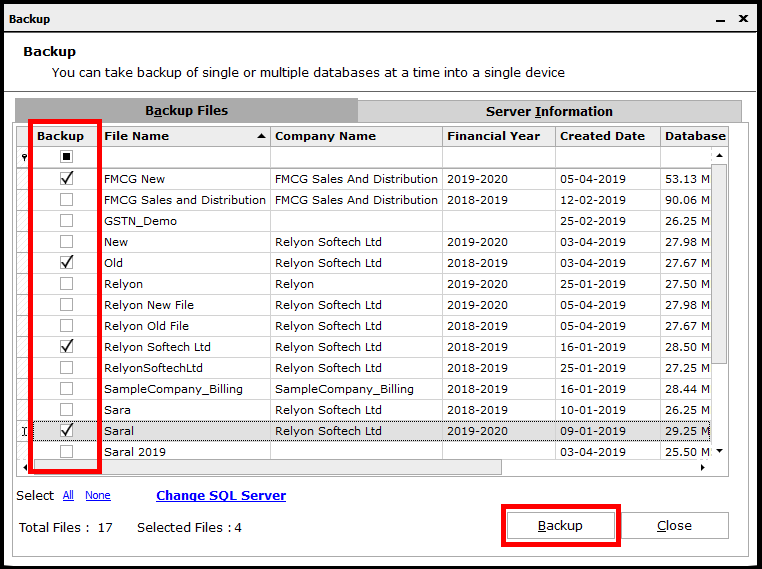 Select the companies which have to be backed up and click on Backup. 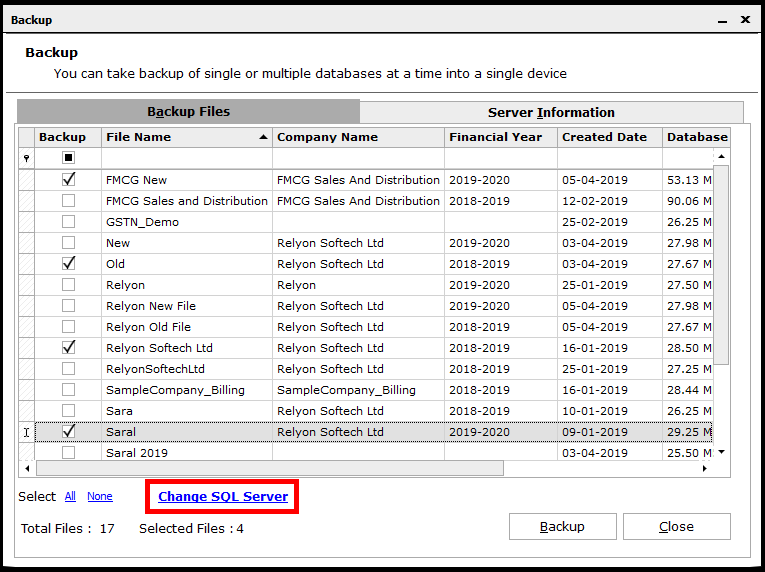 If company details are saved in a different server, click on Change SQL Server. Select the required server. The companies under that server will be listed. 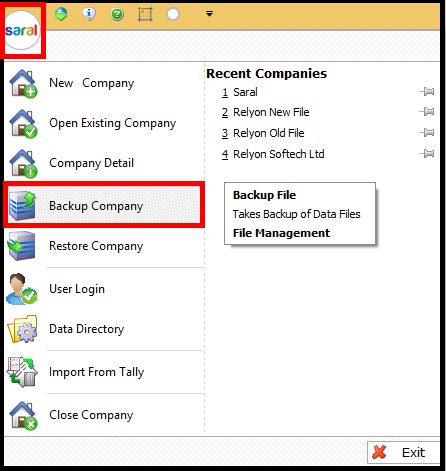 Select the required companies and take the Backup. 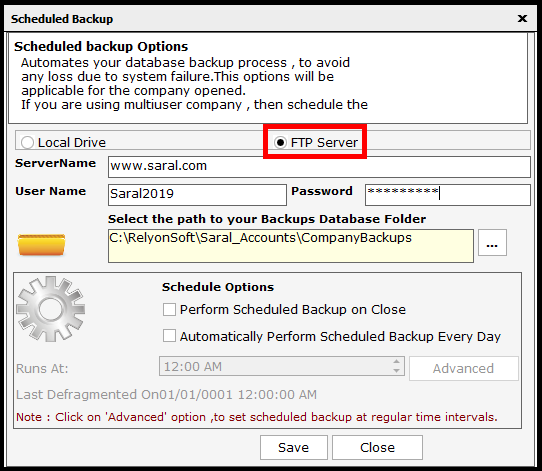 In this process, default settings will be done for taking backup of all companies available in the software at a scheduled period. 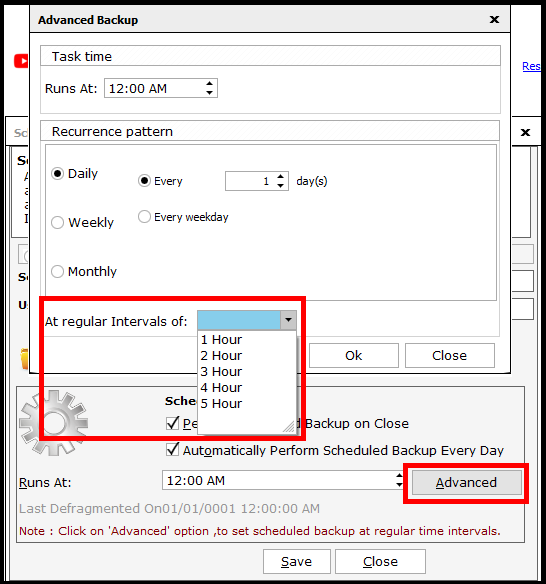 To set the backup period, go to Tools and click on Scheduled Backup. To restore the company data, go to Tools and click on Restore Company. Here, select the backup file and click on Restore. The company data will be restored back to the software. Note: The company name can be changed when the backup is being restored. This ends the post on Backup and restore of a file in Saral. Let us know your opinion by commenting below.